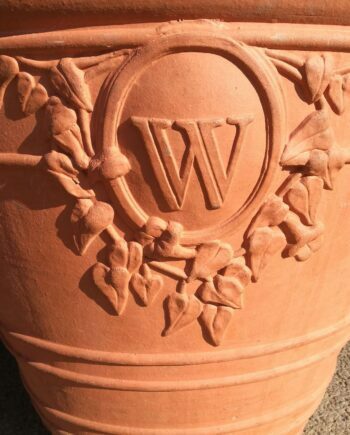 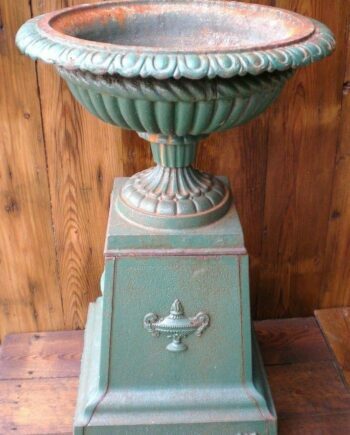 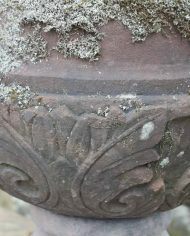 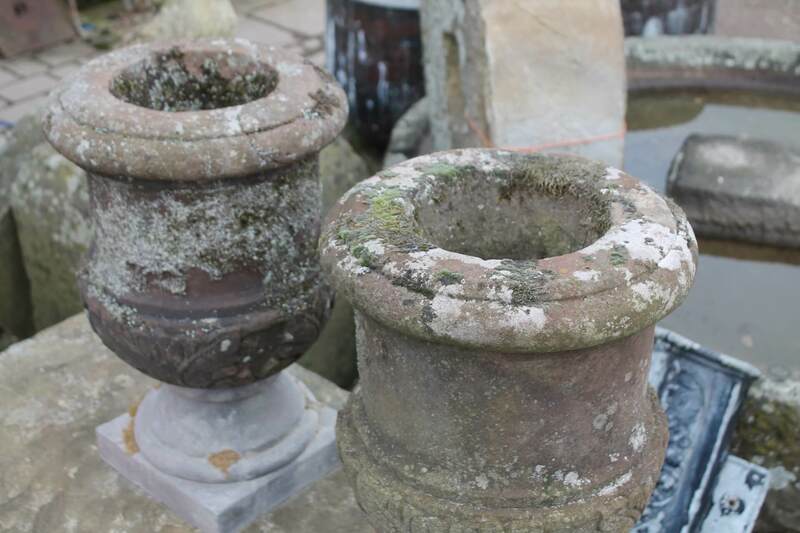 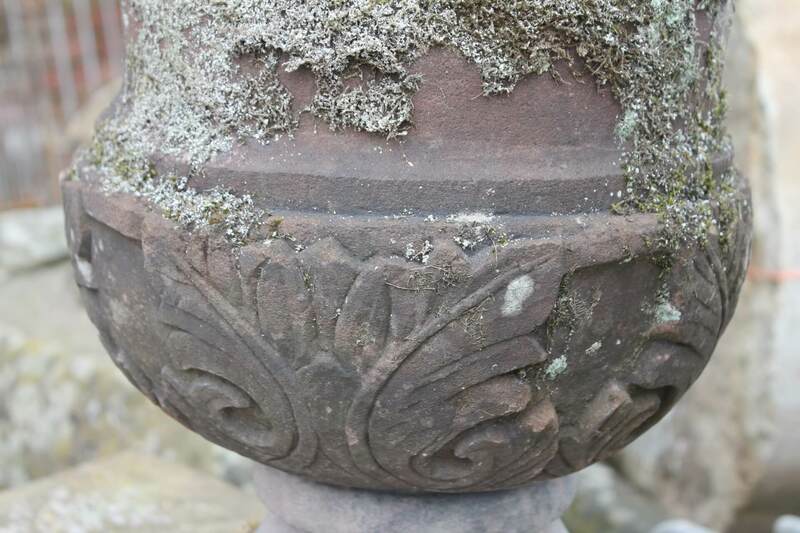 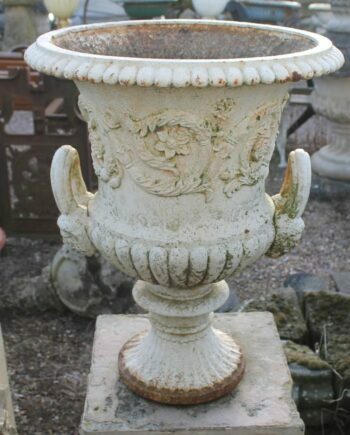 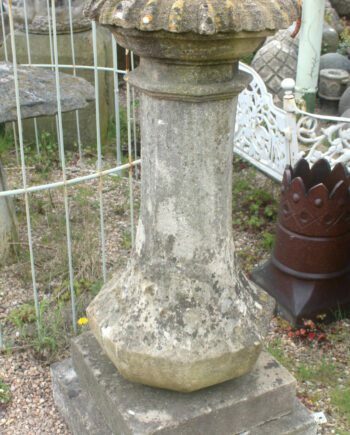 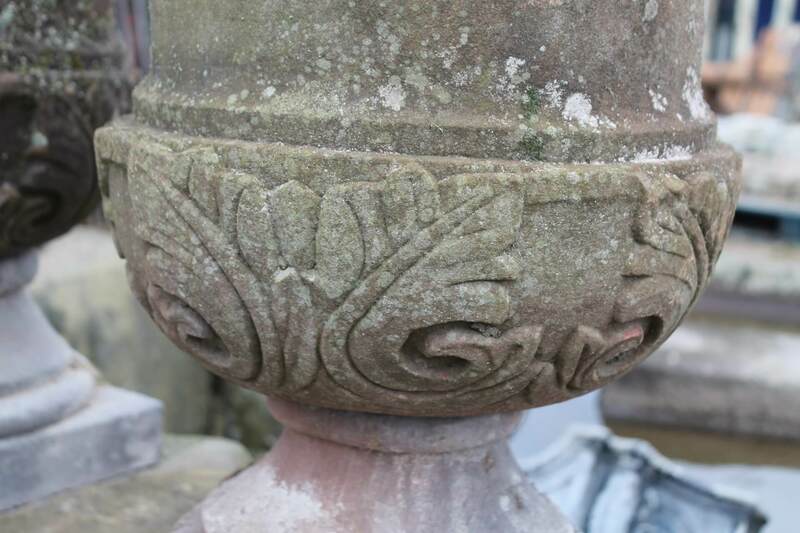 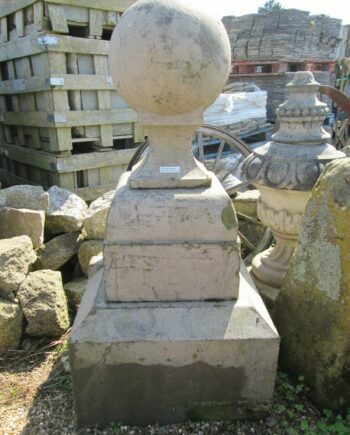 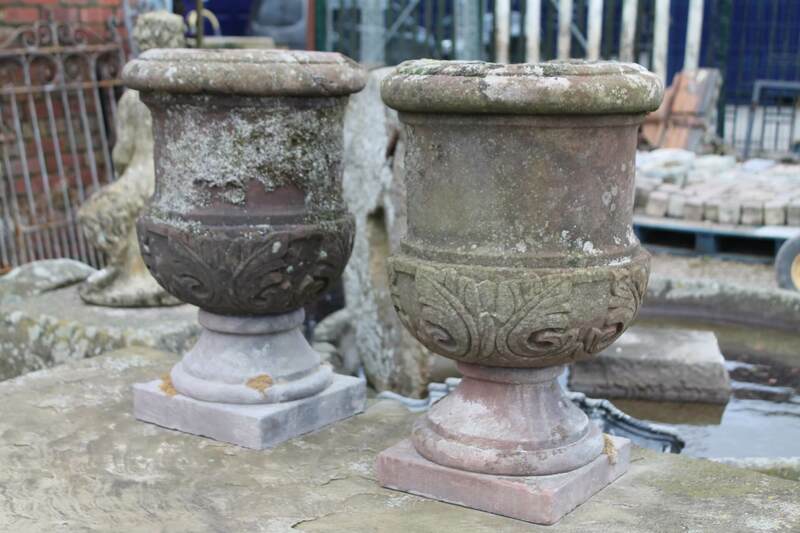 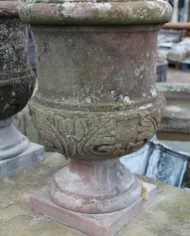 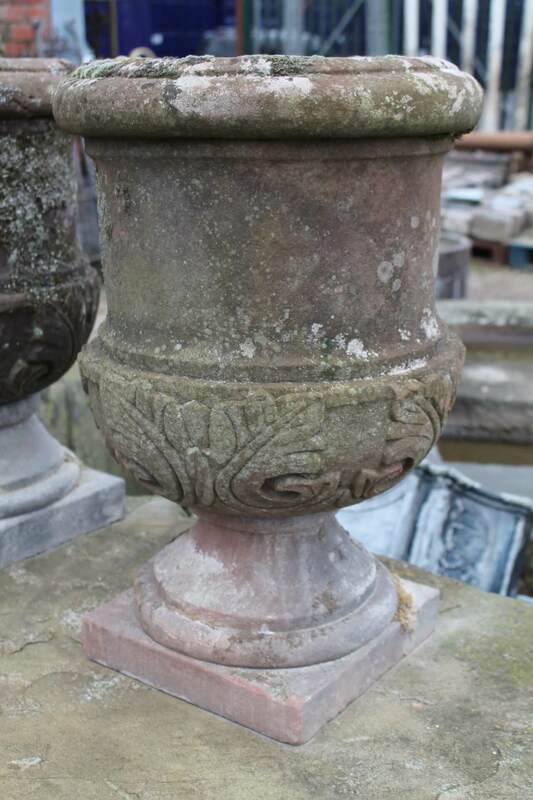 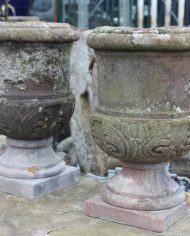 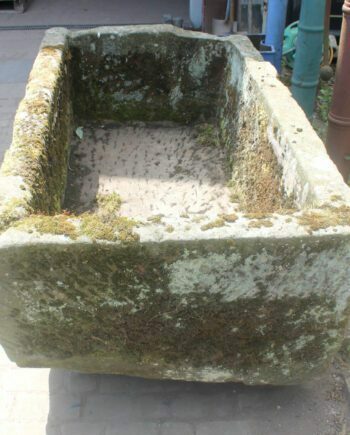 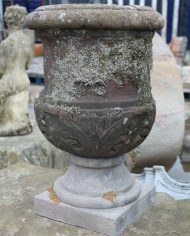 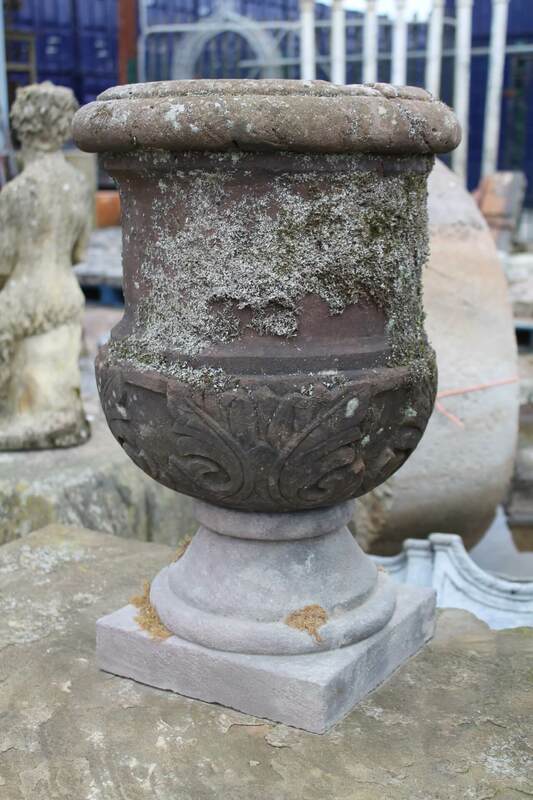 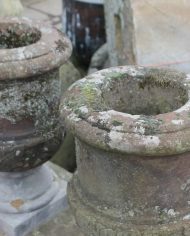 A stunning pair of garden urns made from red sandstone. 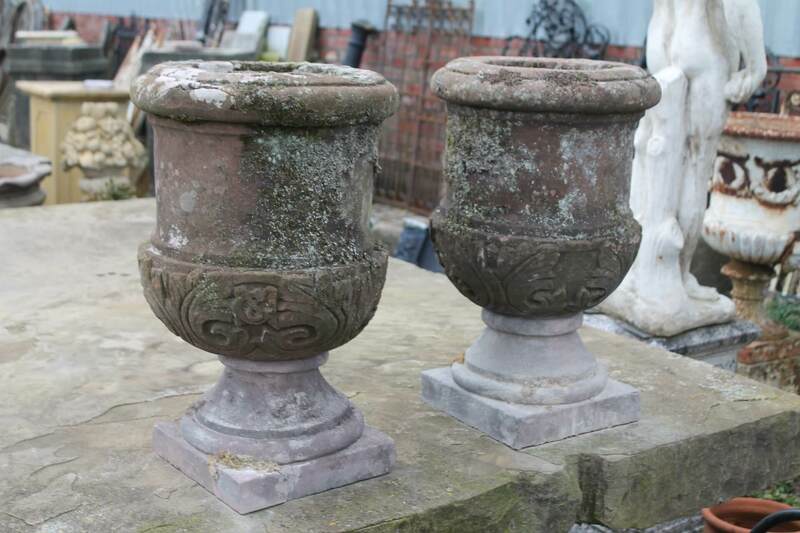 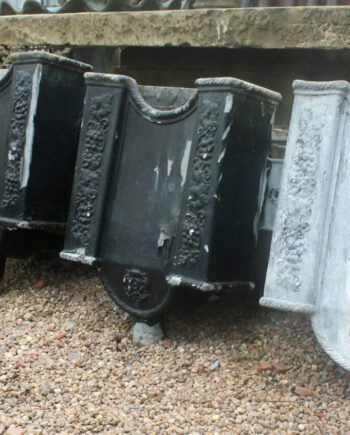 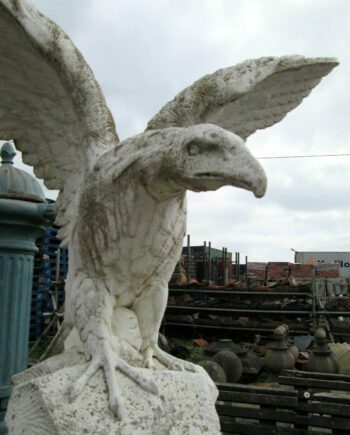 These are genuine original period antique pieces dating back to the 16th Century. 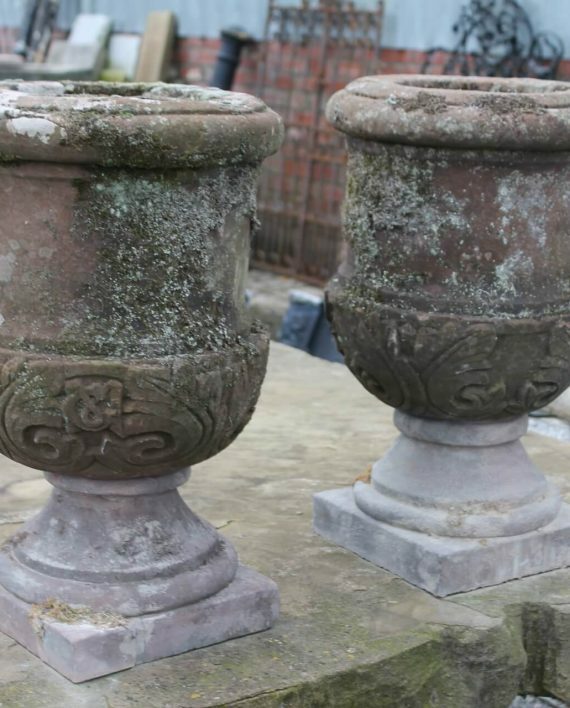 These come rich in age & history as with a fantastic patina that only comes with age. 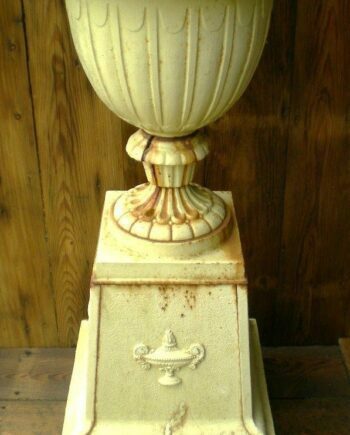 Nationwide delivery available. 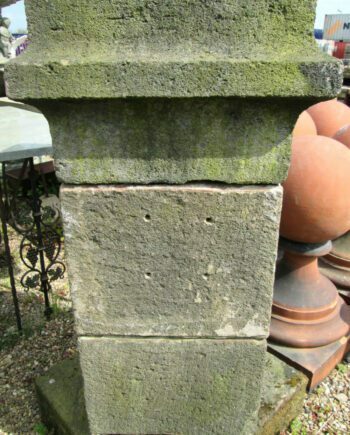 Please feel free to ask for a quote for a quote.